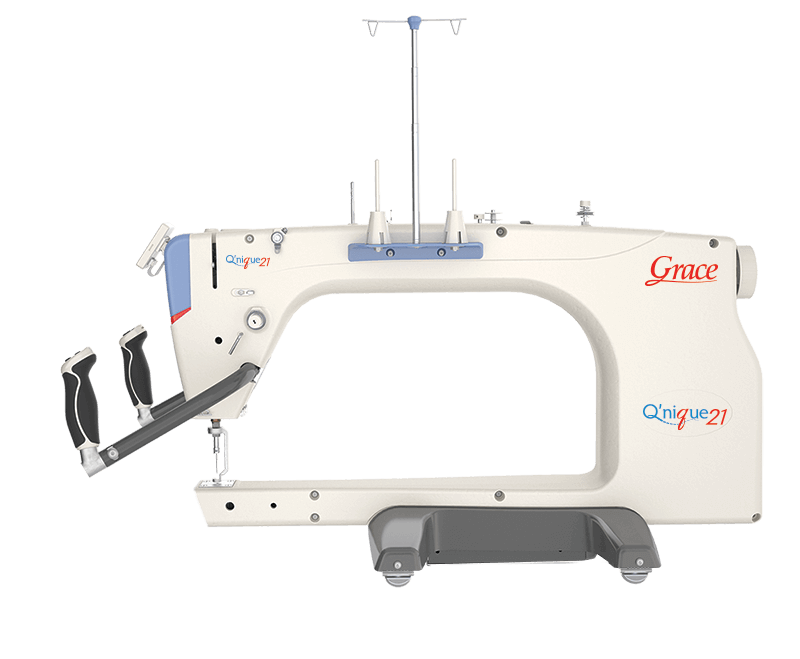 The Q'nique 21 features a powerful motor, delivering up to 1,800 stitches–per–minute. It also includes a built–in stitch regulation (a high–end feature normally found only on more expensive long–arm quilting machines.) The Q'nique 21 has been precisely encoded for a beautiful, consistent stitch. Stitch regulation is available on three of the four different stitch modes to give you maximum control over your quilting. Stitch RegulationHigh–resolution encoders precisely track the machine’s movement and tell the motor how fast or slow to stitch. The handles of Q'nique 21 adjust to the most comfortable position, so you can quilt in the way that feels most natural. The handles can also be rotated down to a "micro–handle" position for precise control over fine stitching and stippling.